A person who works as a welder or has a lot of experience in managing welding machines will choose a necessary system easily. Yes, an experienced master already knows what characteristics the appropriate equipment should possess. In contrast, a beginner will be confused in front of a variety of models presented on the power tool market today. After all, the range is huge and we decided to clarify this issue. So, let's start by making sense in the types of welding first. Thus, when buying a welder, it is important to have a clear idea for what type of welding and how often it is planned to use the equipment , as well as what result you’re expecting to get. The simplest type of welding, in which the electric arc burns between a coated electrode and the workpiece. Advantages: doesn't require expensive and complex welding machines and works with any current quality. Disadvantages: the work is done manually, low quality of the seam, the limited scope of application (mainly ferrous metals). Welding is produced with an inert (for non-ferrous metals) or active (for steel) gas, supplying stable arc burning and protection of the seam from the negative air impact. Advantages: the high quality of a seam and convenience in work. In addition, the welding speed increases. Welding is done in the argon. It is used for stainless steel and non-ferrous metals (copper, aluminum alloys). Provides higher quality welding than the previous types. Disadvantages: the welding process is more complicated, slower and requires experience. Resistance process that is used for welding thin sheets of metal (1-3 mm). The main scope of application is the automotive industry and car service (production and repair of car bodies). Is carried out with the help of a jet of high-temperature plasma formed by the burning of an arc. It is used for any alloys and metals (including refractory). Advantages: the high speed and quality of cut, safety, as there are no cylinders with combustible gases. Disadvantages: the high cost of the devices. It is known that gas shielded arc welding is currently one of the dominant welding methods in the world and accounts for about 60% of all welding materials in the industrialized countries. MIG/MAG welding machine is used to make neat, high-precision and reliable connections of metal structural elements. The principle of this process is quite simple, so it's the best option for a beginner. Due to the algorithm of wire feeding, the continuous seams can be welded without stopping and not wasting time on changing the electrode. This type of welding can work with a very large list of the metals, including thin sheet metal. As a result, MIG/MAG welding produces a high-quality, clean, durable seam with minimal subsequent processing of the joint for painting. 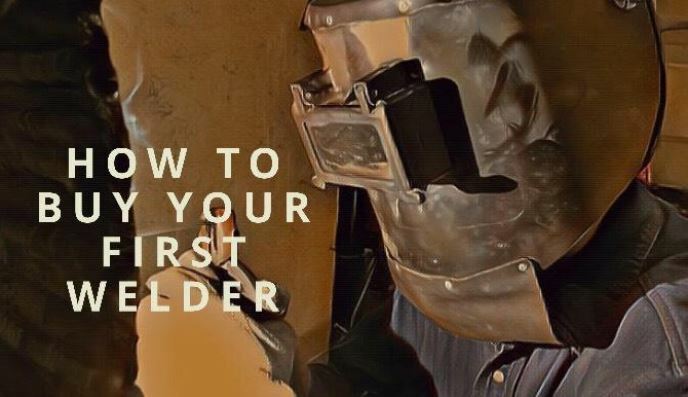 Any beginner welder will be able to get the fundamental skills in a very short time. MIG/MAG welding allows you to work in any position and lets you track the welding process visually, to form a seam and correct it. Unfortunately, it is necessary to pay for clean welding seam with its convenience, mobility, and solution of logistic problems for the delivery of a shielded gas. Do not forget the burner, gearboxes, and hoses. However, the advantages of this type of welding still outweigh. Recently, household type welding machines Have been gaining in popularity. Constant and ubiquitous construction, repairs in the house or car - everyone came across this, and in any of the above situations, a welding machine is sure to come in handy. The home welder shouldn't consume more than 5 kW. Buying a more powerful one, with a margin, is not worth it, since its price is much higher, and all the “possibilities” are unlikely to be used. Stability of work with voltage drops in the network. You need to choose a model with the “hot start” function. Voltage, which is designed for welding. Some models are made to work from 220 V, others - 380 V. It is desirable that the product operates at different voltages. Type of electrodes for work. The maximum thickness of the resulting seam. Practice shows that in everyday life one rarely has to deal with metal thicker than 5 mm. Therefore, it will be a sufficient welder with an output current of not more than 160 A. The electrodes with a diameter greater than 4 mm are also used notably rarely.